Napoleon Bonaparte was a French military and political leader who rose to power during the late stages of the French Revolution and wars in Europe. As Napoleon I, he was Emperor of the French from 1804 to 1815. His legal reform, the Napoleonic Code, has been a major influence on many civil law jurisdictions worldwide, but he is best remembered for his role in the wars led against France by a series of coalitions, the Napoleonic Wars. He established hegemony over most of continental Europe and sought to spread the ideals of the French Revolution. Due to his success in wars, he was often against superior enemies, he is generally regarded as one of the greatest military commanders of all time. 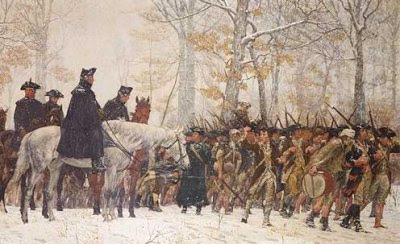 The declaration of the rights of man connects with napoleons rise to power because he was on of the greatest military commanders of all time. The declaration of the rights of man says that the citzens require public military forces. So napoleon was really good as a military commander and good at giving the citizens public military security. The monarchs, the French nobility, and the clergy became increasingly egregious in their abuses of power. France was in major debt with involvement of the Seven Years' War and also the participation of supporting the Americans Revolution didn't help. France had a reasonably sizable army which they had to maintain not to mention the Queens spending problem. The Queen enjoyed her fashion and wings, thus spending a lot of money on her appearance. This relates back to the Decoration of the Rights of Man because, King Louis XVI said "L'eatat, c'est moi," meaning he didn't care about his people, but yet in one of the Articles if he doesn't lead his country right the people can and will over throw him. The estates general was a legislative assembly of the different estates of France. It was not required to approve royal taxation or legislation, instead it functioned as an advisory bad to the king. The first estate which was the clergy had no taxes what so ever instead they collected them and the second estate paid very few, where the third paid very many taxes. The Estates general would consist of equal numbers of representatives of each estate. The third estate demanded double representation which they already had in the provincial assemblies. But double representation was something of a sham. This meant that the collective vote of the 578 representatives of the Third Estate would be weighed the same as that of each of the other Estates. This is similar to the Declaration of the Rights of Man because it clearly says how all men should be treated equal. Now even though the Third Estate was never treated right, just because there is more or less in a group doesn't mean they should get special treatment. A meeting was called for the third estate, and it was decided to leave the two other estates out.Then they voted a measure far more basic, declaring themselves the National Assembly, an assembly not of the Estates but of "the People." They invited the other orders to join them, but made it clear they intended to conduct the nation's affairs with or without them. In an attempt to keep control of the process and prevent the Assembly from convening, Louis XVI ordered the closure of the Salle des États where the Assembly met. A majority of the representatives of the clergy soon joined them, as did 47 members of the nobility. This event goes against the Declaration of the Rights of Man because in Article 3 it say how not one person/group decide things on their own, everyone gets a say. Meaning the third estate broke this article because they left out the other two estates, so the first and second estates had no say on what the third was going to decide. The Tennis Court Oath was an important event during the first days of the French Revolution. The Oath was a pledge signed by 576 of the 577 members from the Third Estate who were locked out of a meeting of the Estates-General.They made a makeshift conference room inside a tennis court located in the Saint-Louis district of the city of Versailles, near the Palace of Versailles.The deputies pledged to continue to meet until the constitution had been written, despite the royal prohibition. The oath was both a revolutionary act, and an assertion that political authority derived from the people and their representatives rather than from the monarch himself. Their union forced Louis XVI to order the clergy and the nobility to join with the Third Estate in the National Assembly. The Tennis Court Oath goes against Article 6 in the Declaration of the Rights of Man because it says how all persons have to right to participate, and how all the persons should be treated fairly and equally. But the first and second estates locked out the third in the Estates-General meeting, making the third estate make a makeshift conference room inside a tennis court. 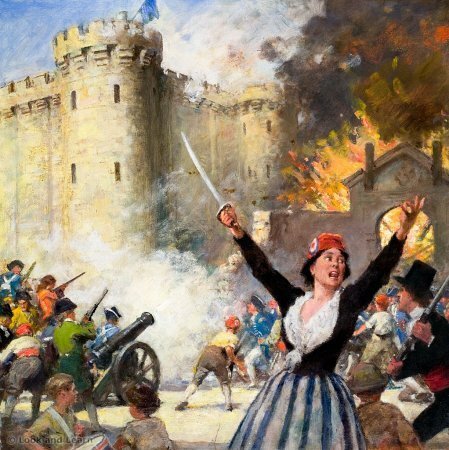 People were storming Bastille because Louis XVI was sending soldiers to Paris and the citizens need gun powder to fight the Revolution, they git the gun powder from Bastille. This event was the main start, this is when people said we are gonna start a revolution. King Louis was treating the people unfair and was taking there money and caring only about himself and not his people, and was just sat back and watch them starve. This relates to the Decoration of the Rights of Man because if your government isn't taking care of there people and are taking from them, the people have the right to over ride their government. The Great Fear occurred between July 19 and August 3, 1789 in France at the start of the French Revolution. These peasant rebellions helped caused a panic known as the Great Fear. The people were very scared in France because the food shortages of grain became more and more severe and rumors that the aristocrats planned the plot of a famine to occur to starve or burn out the population, the peasant and town people mobilized in many regions.In response to rumors, the peasants armed themselves in self-defense and attacked manor houses. Fear of the peasant revolt was a deciding factor in the decision to abolish feudalism. This event is like the Decloration of the Rights of Man because, the third estate started to get upset because they were suffering from high prices and unfair feudal contracts by King Louis XVI. 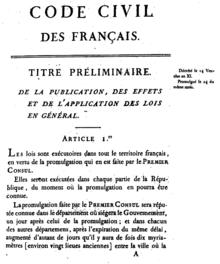 The last article of the Declaration of the Rights of Man and the Citizen was adopted by the National Constituent Assembly, during the period of the French Revolution, as the first step toward writing a constitution for France. Inspired by the Enlightenment, the original version of the Declaration was discussed by the representatives on the basis of a 24 article draft proposed by the sixth bureau. The draft was later modified during the debates. A second and lengthier declaration, known as the Declaration of the Rights of Man and Citizen of 1793 was later adopted. The Declaration of the Rights of Man and the Citizen is a fundamental document of the French Revolution and in the history of human rights, defining the individual and collective rights of all the estates of the realm as universal. Influenced by the doctrine of "natural right", the rights of man are held to be universal: valid at all times and in every place, pertaining to human nature itself. This relates back to the Declaration of Rights of man, Article 3. It relates back because it is saying that not one person can decide a rule, the Representatives have to come together and agree on a rule. Everyone has a say in the rules. The King expected the war would increase his personal popularity, he also saw an opportunity to take advantage of any defeat, either result would make him stronger. The Girondins wanted to export the Revolution throughout Europe and, by extension, to defend the Revolution within France. The forces opposing war were much weaker. But politically, Robespierre opposed a war on two grounds, he was scared that it would strengthen the monarchy and military at the expense of the revolution, and that it would give anger to the people in Austria and elsewhere. The Austrian emperor Leopold II, brother of Marie Antoinette, may have wished to avoid war, but he died on 1 March 1792.France preemptively declared war on Austria (20 April 1792) and Prussia joined on the Austrian side a few weeks later. The invading Prussian army faced little resistance until checked at the Battle of Valmy (20 September 1792), and forced to withdraw. The counter revolution goes against the Declaration of the rights of man. The declaration of the rights of man says men are born and remain free and equal rights. The king wants to have more power and popularity and not being equal. The Convention lasted for three years and came after the National Assembly and Legislative Assembly. The French Revolutionary Wars had begun and it seemed best to postpone the use of the new constitution until peace would be concluded. Although it was a legislative assembly, it took over the executive power, entrusting it to its own members.The first years of the Convention were the most important of the revolutionary political parties such as the Jacobins and Cordeliers and the Girondists. By the end of the Convention, most prominent members of all of these groups were dead, from the Terror or of the Thermidorian Reaction that brought the Terror to an end. This goes against the Declaration of the Rights of Man because in this convention one branch of government is over ruling/not evolving the branch. This goes against it because the branches are suppose to even the power out so that everything stays pretty equal. Things can't stay equal when not all the branches are working together. governing a area then the people/citizens, of that area which is poorly being governed, have the right to "en peach," the someone/someones. The Reign of Terror is also known as The Terror, it was a period of violence that occurred after the start of the French Revolution, incited by conflict between rival political parties, the Girondins and the Jacobins, and there were many mass executions.The death rate ranged in the tens of thousands, with 16,594 executed by guillotine and another 25,000 in summary executions across France.The guillotine (called the "National Razor") became the symbol of the revolutionary cause, strengthened by many executions such as King Louis XVI, Marie Antoinette, the Girondins, and many more. The Roman Catholic Church was against the Revolution, which had turned the clergy into employees of the state and required they take an oath of loyalty to the nation through the Civil Constitution of the Clergy. The reign of terror goes against the declaration of the rights of man. The declaration of the rights of man says that the law should provide punishments only as are strictly and obviously necessary and it says no one should be disquieted on his opinions, including his religious views. In the reign of terror people were executed for opinions and executed for it which goes against what th declation of the right of man says. 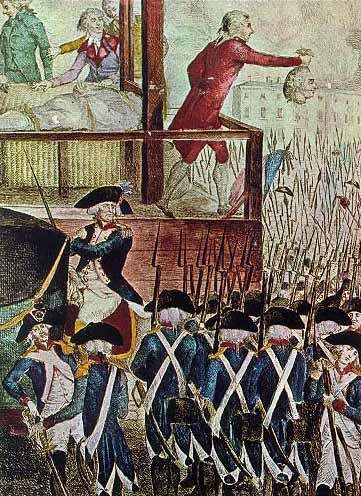 The execution of Louis XVI was a major event in the French Revolution. With the use of a guillotine, he was executed on January 21, 1795. After events on the 10 August 1792, which was the fall of the monarchy after the attack on the Tuileries by politics, Louis was arrested, and thrown in the Temple prison with his family, and was tried for high treason before the National Convention, and was found guilty by all and condemned to death. His execution made him the first victim of the Reign of Terror. His wife Marie Antoinette was guillotined on October 16th of the same year. This event goes along with Article 7 in the Declaration of the Rights of Man because it says how everyone is innocent until proven guilty, then after that punishment is acceptable. Louis XVI was tried for treason and was then discovered guilty, and was later guillotined. But this also goes against it because his wife was never proven guilty for anything but was guillotined still. Napoleon changed the world economically, culturally, and politically.The most important reform that Napoleon made was called the Napoleonic Code. 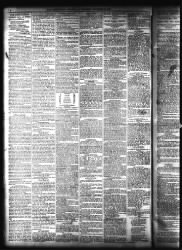 It included many enlightenment ideas, such as religious freedom, equality of citizens, before the law and advancement on merit. Napoleon also helped France by setting up non-religious schools. Napoleon gave the people of France more rights than usual due to elections. Napoleon changed the laws of France permanently and spread the French empire. Napoleon conquered most of the European continent and made the language French the diplomatic language. The Declaration of the rights of man says you have the right of speech and religion. Napoleon says the same thing, he says there should be equality of citizens before the law of advancement on merit. Napoleon also set up non-religious schools. Napoleon gave the people of France more rights than ever before for elections. So napoleon and the declaration of the rights of man are similar because they both say people should have freedom of religion and speech. It reduced the French and allied invasion forces to a tiny fraction of their initial strength and triggered a major shift in European politics, and it severely weakened the French Hegemony in Europe. The reputation of Napoleon as an undefeated military genius was severely shaken. While the French Empire's former allies, at first Prussia and the Austrian Empire, they broke their alliance with France and switched camps. This then started the war of the Sixth Coalition. Napoleon followed the declaration of the rights of man in the invasion of Russia. The declaration of the rights of man says that the security of the rights of man and of the citizen requires public military forces. Napoleon invaded Russia because Russia was threatening to invade France. So he followed the declaration of the rights of man by invading Russia to protect France. So Napoleon did what the declaration of the rights of man. Less than a year later after Napoleon was exiled to Elba, he escaped Elba and returned to power, but was defeated at the Battle of Waterloo. Napoleon was defeated by the seventh coalition. Upon Napoleons return to power in 1815, many states that had opposed him formed the seventh coalition and began to mobilize armies. napoleon chose to attack in the hope of destroying them before they could join in a coordinated invasion of France with other members of the coalition. Wellington's withstood repeated attacks by the French. The Prussians arrived and broke through Napoleon's right flank then Wellington's army took over and then Napoleon surrendered and was exiled to Saint Helena where he later died. The declaration of the rights of man connects with the battle of waterloo.Napoleon was defeated again and exiled again but this time he died where he got exiled. The declaration of the rights of man says citizens require public military forces for security. Napoleon was defeated in the battle of waterloo and he surrendered so didnt do a good job of protecting france. The peninsula war and French invasion of Russia marked the turning points in Napoleon's fortunes. His Grande Armee was badly damaged in the campaign and never fully recovered. The sixth coalition defeated his forces at Leipzig.The following year the coalition invaded France, this forced Napoleon to abdicate and he was exiled to the island of Elba. The congress of Vienna was a conference of ambassadors of European states. The objective of the congress was to settle many issues arising from the French Revolutionary wars, the Napoleonic wars, and the dissolution of the holy Roman Empire. The Congress of Vienna was the first of a series of international meetings that came to be known as the concert of Europe. Which was an attempt to forge a peaceful balance of power in Europe. And served as a model for later organization such as the League of Nations and United Nations. The declaration of the rights of man connects with the congress of vienna. the declaration says that peolpe have freedom of speech. Congress of vienna gave people the freedom to say what they think and make peace.